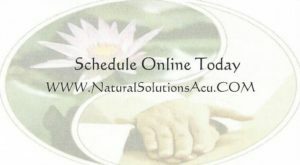 I’ve recently been trying out some alternative remedies for an an injury, which I talked about in my previous post, “My Experience with Acupuncture & Gua Sha.” I’m doing this for a few reasons, the first being to spread awareness about alternative medicine and the skilled, trained practitioners who perform it. But I also want to share my personal experiences in the hopes that it will dispel fears, combat myths, and provide an honest look from someone who is in the natural health field and using its services. So, keeping that in mind, I want to share my most recent experience with cupping, which was performed by my wonderful acupuncturist, Erica. I will share her information at the very bottom of this post, so if you’re interested in making an appointment with her, you’ll get your chance. As I said in my last post, I want to make an obvious disclaimer: Though I am an LMT, I am not a doctor. I am speaking from personal experience and research, but not on behalf of anyone else. I’ve had education about cupping, and am actually qualified to perform it myself, but the fact remains that everyone’s experience will be different. So, without further ado, let me tell you a little bit about my own experience with cupping. Cupping therapy has a long and storied history, and some evidence points to it dating as far back as 3000 B.C. There are conflicting reports about where cupping originated, but we do have documentation from the Taoist alchemist and herbalist, Ge Hong (281-341A.D. ), where he described using cups made of animal horn. One of the oldest medical textbooks in the Western world, The Ebers Papyrus (written circa 1550 B.C. ), also has a description of Egyptian and Saharan peoples using cupping. Even Hippocrates used cupping in ancient Greece in order to treat internal disease. But regardless of its origin, cupping has been used for thousands of years as a method of alleviating pain and inflammation, promoting blood flow, and as a type of deep-tissue massage. There are different methods of cupping, depending on your practitioner’s training and preferred techniques. Traditionally, both wet and dry cupping involve the use of open flame to pull the air from inside the cup, then placing the cup onto lubricated skin, causing the skin to rise and redden in response. In wet cupping, the therapist removes the cup and uses a small scalpel to make small cuts on the skin. Then, he or she will do a second round of cupping to draw out a small amount of blood. In my case, Erica used a dry cupping technique. She also used a more modern method of creating a vacuum. Rather than using an open flame, she elected to use a rubber pump to create a vacuum once the cups were on my skin. The cups she uses in her practice are glass, but some practitioners use bamboo, silicone, or even earthenware cups. Essentially, it’s good to know that there is a lot of variety when it comes to cupping tools. Each practitioner might have a different method, and you’re welcome to discuss it with them before your treatment. If something makes you uncomfortable, let them know, and the practitioner can adjust accordingly. This goes for every step of the process. In my last blog post, I discussed how Erica starts her sessions by examining the tongue and taking your pulse. If you’re interested in a longer explanation of these techniques, I’d encourage you to check that post out. But she began this session much the same, and noted how my tongue had changed in color and texture since the previous session. After discussing our plans and goals for the session, she left me to get on the table. This week, we elected to do a face-down session, and she sterilized the areas she planned to work on. She does this before every treatment, whether she’s using needles, a gua sha spoon, or any other tool. For this appointment, we did cupping in conjunction with both acupuncture and gua sha. As you can see in the photo, multiple things were going on at the same time. First, she inserted the needles, then the cups, then did the gua sha. Depending on your comfort level and your acupuncturist’s recommendation, you might only need one treatment, or you might do the treatments in phases rather than all at once. I personally benefited from having all of the treatments simultaneously, but you can tell your therapist if you’re ever feeling overstimulated. Erica did a wonderful job of walking me through it and asking how each cup felt. She also adjusted the cups according to my comfort – if a cup felt too tight or the pressure too intense, she would let some air out. If a cup wouldn’t stick, she was quick to pump more air into it. She was also able to assess how the blood was flowing through my body, particularly surrounding my neck and shoulders, based on the way my skin reddened under the cups. The redness (or lack of redness) in my skin identified places where my blood was stagnated, and she explained to me how she could continue to measure stagnation and promote blood flow in the coming sessions. Cupping is suggested to be especially good for helping your tissue develop better blood flow, and is also used to promote an anti-inflammatory response in the body – both of which I need to heal my injury. After completing the gua sha treatment, she left me alone for a few moments, with the needles and cups still attached. During this time, I let my body relax and let the treatment do the work. As far as sensation, the cupping felt similar to a deep tissue massage. Having the cups suctioned to my skin felt surprisingly relaxing, as it almost forced my muscles to relax without me thinking about it. I also felt faint itching around the cups and needles, which I attribute to blood being drawn to those locations. The itching remained – on and off – after the treatment for a few days. It felt like the itch of activity going on and blood flowing under the skin. One of the most obvious side effects of cupping therapy is the bruises. As you can see in the photo, there are circular bruises from where she applied the cups. The bruises look more intense than they feel, however, and they were only slightly tender. Because of the nature of cupping, the bruised skin is also more susceptible to infection, so Erica gave me careful advice to keep the area clean and covered. It isn’t recommended – in acupuncture, gua sha, or cupping – that you expose the treated area of harsh sun or wind, extreme heat, or extreme cold. So, take that into account when you schedule your appointment. Maybe don’t plan on wearing a bathing suit on the beach for a week or so after, depending on how quickly you normally heal. There has been limited scientific study surrounding the efficacy of cupping, but there is a wealth of anecdotal evidence that shouldn’t be ignored. And there are a few studies that suggest cupping has benefits – particularly joint and muscle pain relief, promoting relaxation, and contributing to healthier skin. In my personal experience, the cupping treatment I received created significant pain relief in the following days. The day after my appointment, the treated area felt relaxed and fairly pain-free. The work she did at the base of my neck was particularly helpful for reducing an ongoing headache I’d been suffering from. I am going to continue to receive both acupuncture, cupping, and gua sha treatments in the future. At this point, I intend to go in weekly for a mixture of treatments, and I am looking forward to continued pain relief. But it’s important to state that natural and Oriental medicine are usually long games, focusing on gradually re-aligning the body and promoting allover health. Though there are definitely instances of immediate relief, these services aren’t intended to be used as quick or one-time fixes. And you certainly have to put the in effort in other areas of your life. I’m sure you know that good diet, regular sleep, and appropriate exercise play a key role in healing. In my experience, you need to give the treatments time and the right environment to be effective. 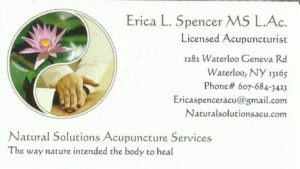 If you’re interested in trying out acupuncture, cupping, or any of the other services Erica (or a practitioner like her) has to offer, I’ve included her information below. As I said in my previous post, she is a Licensed Acupuncturist with formal training. She studied at the New York Chiropractic College in Acupuncture & Oriental Medicine, and I recommend that you find a practitioner with similar qualifications. You can also learn more about her and her training by visiting her website. Thank you again for taking the time to read this post and learn about my experience with Oriental Medicine. If you’re interested in making an appointment with me, I am still accepting new clients. You can schedule online or call me. I look forward to seeing you on my table! Update: I’ve decided to include another photo, taken two days after my cupping treatment, in order to show a little bit of the healing process. As you can see, there’s still bruising in the area, but it isn’t extreme. While I’m sure there’s variety from person to person, I find that I bruise quite easily, and this treatment didn’t leave me with severe markings. Aside from a slight itchiness, the area feels normal. If I put a fair amount of pressure on it or massage the area, it’s slightly tender to the touch. But there’s no pain or discomfort. I’ve kept the area covered and clean, and it seems to be healing quickly. I hope this update is helpful!